The NISF were the state police of the Naplian Empire. There were three main branches within the NISF with a number of peripheral organizations. The DRUWEI were the internal security officers. They handled political prisoners and internal affairs investigations. The TARWEI were the secret service officers of the empire. They were in charge of security for government officials and high level threat mitigation, including some special operations assignments. The SANWEI were the uniformed police of the empire. They worked routine police patrols, enforcement and criminal investigations. They were also court security. Limited anti partisan operations were often detailed to the Sanwei. What does this mean for players in Takamo Universe? Player empires will encounter references to Naplian security organizations in histories and archives across the galaxy. They may even encounter actual NISF detachments operating in distant areas of the Rimward Reaches. 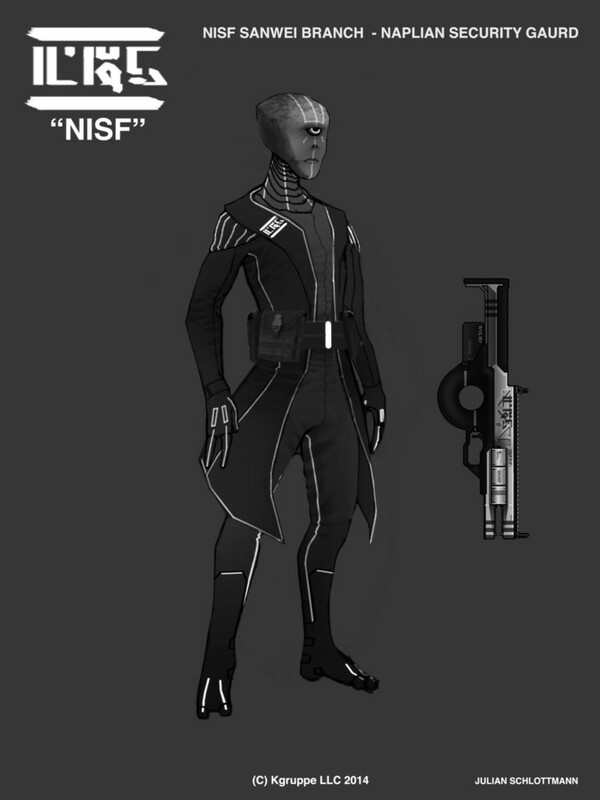 Some mercenary groups of NISF officers are likely to be available for hire at alien enclaves.